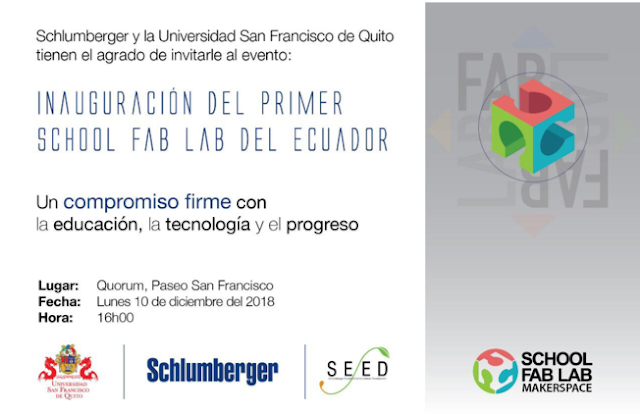 The San Francisco University of Quito and Schlumberger, the world leader in oil services, have partnered together and will sign an agreement with the goal of developing the first School Fab Lab in Ecuador. This important alliance is part of the commitment of these two entities to promote education, technology and progress. The opening of the Lab will be held at an Event on Monday, December 10, 2018, at 4:00 pm, at Quorum Quito located on Paseo San Francisco. The objective of this laboratory is to facilitate and promote the manufacture of different prototypes with state-of-the-art machinery and technology, as well as enabling the materialization of ideas in an effective manner. The School Fab Lab will complement the capabilities of human talent and add value to the digital design and manufacturing processes. Nelson Baldeón, Co-Champion MIT REAP Ecuador, assures that “in this space the individual will be able to comply with all the necessary quality standards thanks to the theoretical and methodological processes implemented”. This system is fully articulated with national education policies and standards, whose training challenges refer to two fundamental elements of the curriculum: “learning to learn” and “learning to work together”. As part of the Event, a panel will be held to discuss issues related to private investment in education, new technologies for education and their impact on Ecuadorian children and youth. Representatives of Fab Academy, Schlumberger, USFQ, among others, will be participating. Ambassadors of France, England, the United States, Colombia, Peru, Mexico, Israel, Italy and the European Union have been invited to participate in the signing of this agreement. 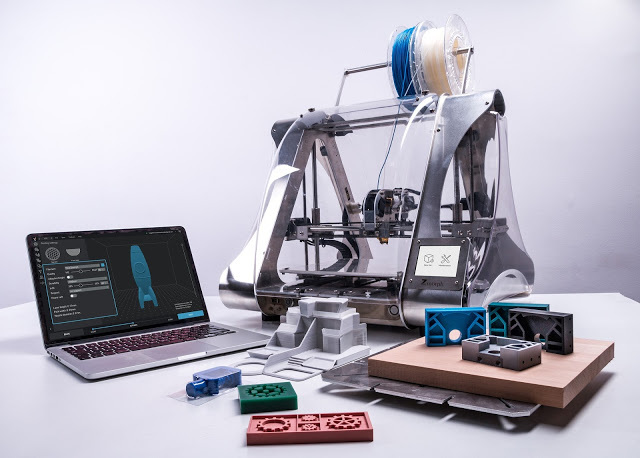 Helping the world understand how to use technology, ranging from digital fabrication to robotics, for education.